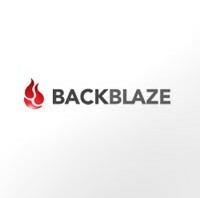 Long story short, Backblaze is awesome! Up until I lost my Backblaze icon from the menu bar in Mac OSX Snow Leopard. I researched online a little and couldn’t find an easy method of fixing the issue. With that nifty little icon missing, I worried if it were working at all – all those precious photos, video and digital memories gone? By going into the Backblaze settings in your System Preferences, you can select the check box next to “Show Backblaze icon in the menu bar.” However, every time I checked the box, the icon would not come back. And upon return to the preferences, the box remained unchecked. A mystery? Yes, indeed. Therefore, I contacted customer support and they gave me a quick and easy solution that made my day. Try the following steps below to fix the mysteriously missing Backblaze icon from the menu bar in Snow Leopard. Change the permissions, so that all users have “Read & Write” permissions. If the Backblaze icon doesn’t show up on the menu bar, follow steps 1-3 again and this time double click “bzbmenu” and this will place the icon in the right spot.